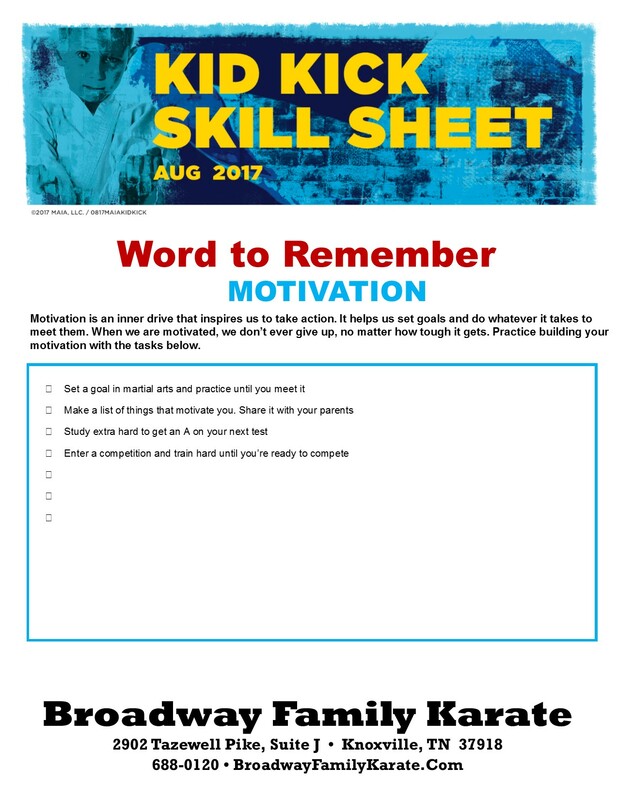 Here are your Parent Letter, and Kid Kicks Study Guide for August 2017. Our in-class discussion topic for August will be Motivation. You’ll find more information and links to both of these below. 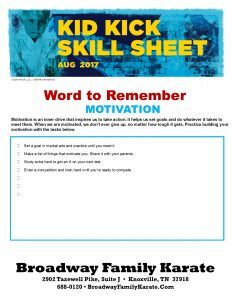 This month’s Kid Kick Study Guide has a basic overview of our discussion topic for this month, Motivation. It also has some suggestions for way to develop and practice Motivation. 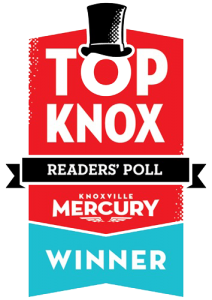 Please click on the link above to download your copy of Kid Kick, and share it with your family. 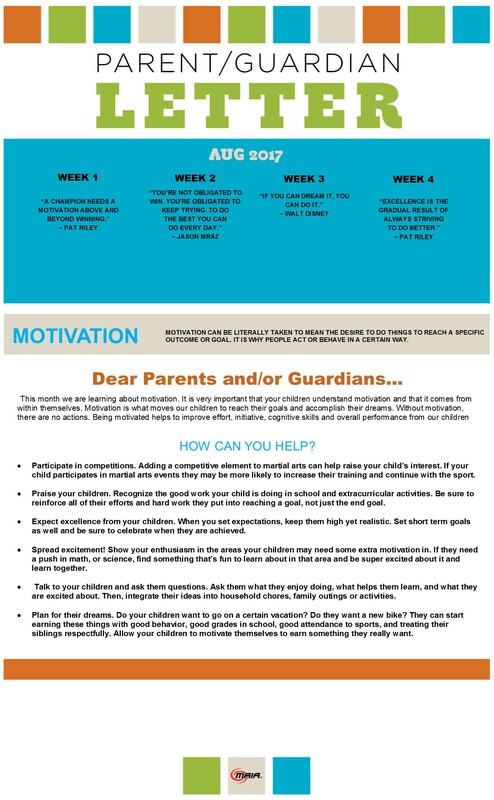 This month’s Parent Letter will give you further information about our discussion topic, Motivation. 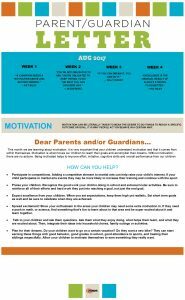 Your Parent Letter will allow you to follow along with our in-class lessons, so that when you discuss Motivation with your family at home, we will all be talking about this in the same terms — we’ll all be on the same page, and supporting each other as we teach this lesson. 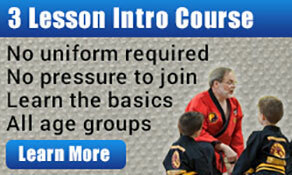 Weekly detailed guides to our in-class discussion lessons will also come to you by email to keep you current with what we will be talking about in our lessons that week.